Meet Terrell Creek Annabell (Annabell), another one of our best milkers. 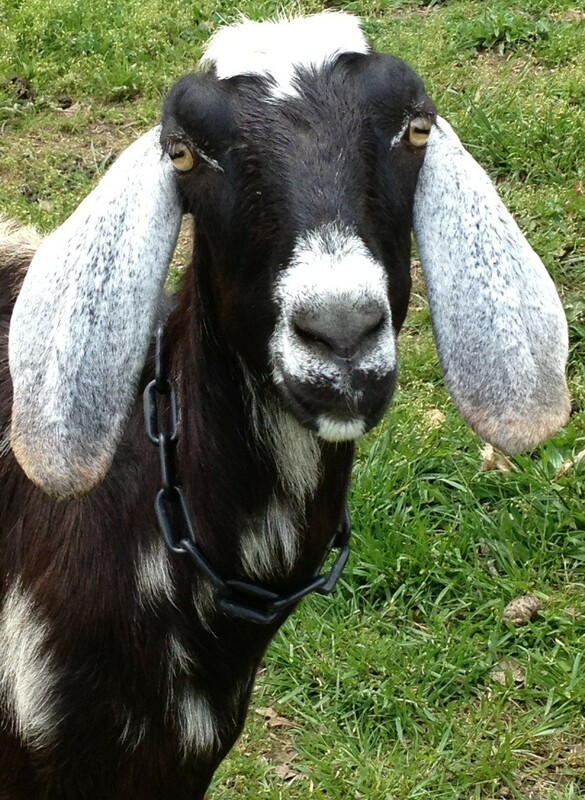 Daughter of Spotted Goat Farm Mollie Mae (Mollie) and twin sister of Terrell Creek Alice (Alice), Annabell is a registered American Nubian. She is registered with the American Dairy Goat Association under AN1524479. Annabell was the second born and registered goat in our herd (hence the sire name Terrell Creek), second only to her twin sister Alice. She has a laid-back, easy-going personality just like her mother Mollie and twin sister Alice, and is very easy to milk.